People can survive without much food, water, shelter, clothing, transportation, and even affection. But without hope—many of us would’ve been in the grave by now. Hope is the essence of the Christian faith. We hope to go to heaven one day, we hope that God hears and answers our prayers, and we hope that our labor isn’t in vain. But what if hope was unnecessary for our faith? What if we could just look up and see heaven physically right in front of us? What if we never had to persevere in faith and prayer? What if everything you ever wanted just happened the way you planned? “For in this hope we were saved. But hope that is seen is no hope at all. Who hopes for what they already have?” (Romans 8:24). Without hope we can never fully trust in God with all our hearts. Hope is grasping for what we can’t see, but we believe because of the assurance in our hearts from God. What does the Bible teach us about hope? “You will be secure, because there is hope; you will look about you and take your rest in safety” (Job 11:18). House alarms, security guards, and metal detectors offer some hope for protection against wicked people. The eternal hope in Christ means that you’re completely secure in God’s hand in this world and the next. When the storms of life are raging, your anchor is the hope that God is in control. “No one who hopes in you will ever be put to shame” (Psalm 25:3). Because of our hope in the blood of Jesus, believers don’t have to worry about the shame of our sins. We confess our sins and are covered by His sacrifice. Not because of our good works, but through the grace of God. Christians can come boldly to the throne of grace and seek God’s help because of hope. In the darkest hours and the deepest pain, Christians can still have hope. Believers in Jesus Christ can praise Him even when everything around them looks bleak and dry. Our hope in God reveals that He is in control and He uses everything for our good. No matter what is going on around us—there is a future hope in Christ. He’s not only working in us at this very moment, but He’s also working out our destiny in His kingdom. Even in our physical death, we have hope of eternal peace, joy, and comfort. God has planted hope in the heart of every believer so that we can build a strong relationship of love and trust with Him. The demands of this life can beat us down spiritually, emotionally, and physically. Yet remembering the hope we have in Christ to overcome evil with good, to bless and not curse, and to draw on His word gives us renewed energy to face the world. “The Lord is good to those whose hope is in him, to the one who seeks him” (Lamentations 3:25). The favor of God rests on those who put their hope in Him. He gives us the ability to excel in our gifts beyond our expectations. Goodness from the Lord is evident in our speech and actions because of the hope we have in our hearts. Our outward circumstances may be exceptionally painful and difficult to deal with, but because of hope we still have joy. The hope in Christ stirs up our joy so that we can praise the Lord in song and dance even in the midst of hardship. “And hope does not put us to shame, because God’s love has been poured out into our hearts through the Holy Spirit, who has been given to us” (Romans 5:5). Hope reveals the love of God that is within every believer. We are moved by the Spirit of God to show love to others in the hope that they will come to know Christ. Hope is the filter in which love is expressed in action and not just words. “Now faith is confidence in what we hope for and assurance about what we do not see” (Hebrews 11:1). The evidence or assurance of our faith in God is hope. We don’t have to see Him to believe that He exists. The Spirit gives witness to our spirit that hope in God is a sure foundation that we can build our lives on. Hope can be lost and found. It can be as tiny as an atom and still pack a powerful punch in the eye of despair. Hope is the gentle tug within the heart of every Christian to comfort us when we are tossed to and fro by trials. 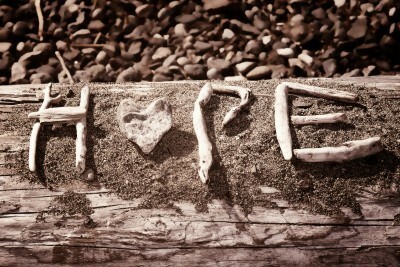 Hope is a powerful stimulant for the brokenhearted and dejected especially when we’ve lost loved ones in death. There is always hope even for the unbeliever in that “anyone who is among the living has hope—even a live dog is better off than a dead lion!” (Ecclesiastes 9:4). God has planted hope in the heart of every believer so that we can build a strong relationship of love and trust with Him. Where is your hope? Let it grow and nourish in the word of God everyday. Well done Crystal. Love this. Without hope, I’d have to ripe out Hebrews chapter 11 and many more. I am thankful for God that our hope is not like the world’s….a hope so but is a know so! I also thank God for you my friend. Bless you Jack! Praises to our King for the hope of glory. Thanks be to our Father who alone has provided us with eternal hope through Christ! May God bless you for sharing truth to those who will hear. No matter how strong your faith, when your hope is dead, your faith is worthless. Thanks Crystal for this inspiring write up. Many thanks for this wonderful write-up on Hope. This has been of tremendous help to me. I came across this article by looking up the word HOPE! I was always afraid of the New Year coming in, due to some childhood tragedy. When I was in the forth grade, two of my teenage aunts were killed in a car accident. This caused me to have a lot of fears and phobias. Before my husband died 6 years ago on November 24th, 2010, I was praying a lot and asking God to help me overcome my fears and phobias. I was working on this area of my life way before he died. When he died the pastors at my church prayed over me. For God to release any fears and phobias. At that very moment I decided for myself, to let it go. This year 2017, I made the choice to embrace 2017 with a year of HOPE. Please pray that God give me the strength to live by His will and not my own.